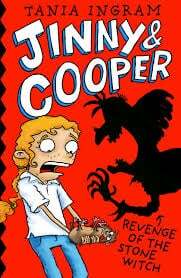 This entry was posted in Uncategorized and tagged Authors, Tania Ingram, Writing by smotlrcblog. Bookmark the permalink. Thanks again Miss Y, Miss McGrath and everyone in 3MC. I had a blast talking to you all. Thank you for being so generous with your time and answering our questions and chatting with us. We all had a blast talking to you too! 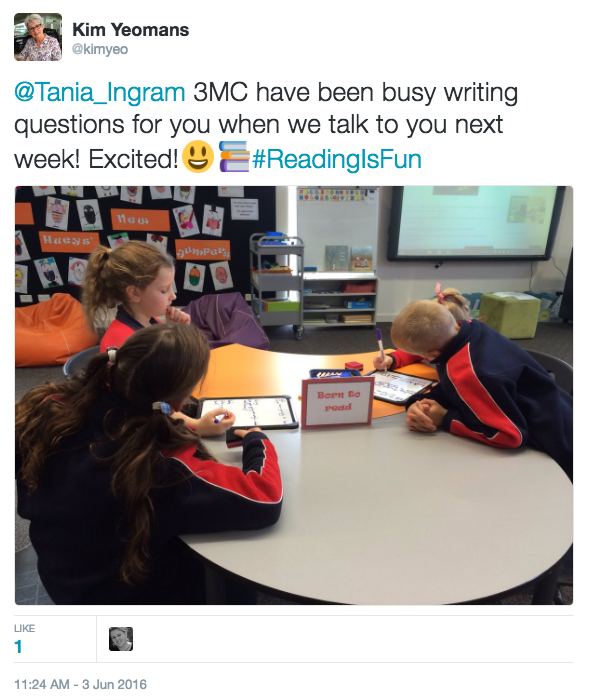 Thank you Tania, Miss Y and Miss McGrath…..Riley has not stopped talking about the experience….it really was a reading is fun fun moment. That was a wonderful toy. I think I might look for that pattern. 🙂 I’m glad Riley had fun. 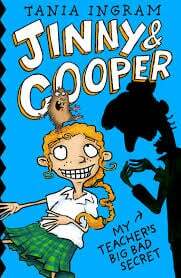 Wow Miss Y and Miss McGrath you must be thrilled with the fabulous connections the students in 3Mc made by unpacking the Jinny & Cooper books. Tania is a creative and generous author. This activity shows the power of collaboration and commitment to team to impact on student learning. It has been a delight to work with Miss McGrath and share our passion for books and reading with 3MC. We are very grateful that Tania generously spent time talking with us on Friday…we’re very lucky! I hope you are reading some great books Mrs S. I miss giving you books to read and enjoy from our library and talking about them with you. I just want to ask if you could say hi to all the kids for me. What a lovely surprise to hear from you! I hope you and Brodie are both enjoying your new school. I bet you are as excited as I am about how well North Melbourne are playing this year! I hope you have been able to make it to some of their games. I will definitely say hi to the kids in Year 3 for you. If you would like to send an email to me at smotlrc@gmail.com we would love to hear your news. I could read your email to the Year 3s when I see them in the library. Thank you so much for arranging our Google Hangout with Tania. A huge thanks as well to Tania for giving her time for us. My favourite part about doing a Google Hangout with Tania Ingram was when we got to go up to the computer to talk to her. 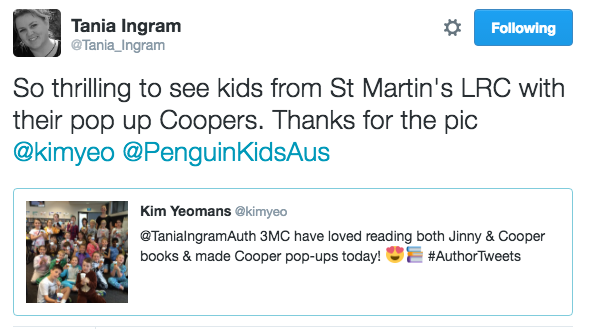 I have never be so over the moon to hangout with an awesome author like TANIA INGRAM! Talking to Tania was so great!!!! I hope next next time we can meet other authors. I felt excited before we started because I have never had a Google Hangout with an author before. I was inspired by how much information Tania told us. I was also inspired with what other stuff she did in life. I really loved doing a Google Hangout with Tania. I would also love if we could invite Tania to our school. Talking to an author was THE BEST THING EVER! So thank you so much for doing this for us! I was so excited when I found out that we were going to do a Google Hangout with Tania! I had so much fun! My favorite part about doing a Google Hangout with Tania was when we got to go up to the computer, talk to her and ask her a question. I was excited to hear all of the information about Tania and it was really really fun!! 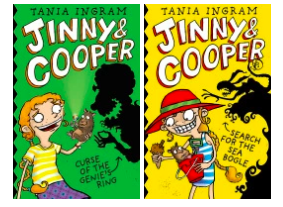 I really liked when we did a Google Hangout with Tania Ingram. I also really liked when we asked her some things about her life. On Friday it was the best! I loved it when you FINALLY got Tania on Google Hangouts. I was so lucky that I got to say thank you to her! Tania if you’re reading this I would LOVE you to come back and talk to us. When we did our Google Hangout with Tania I really enjoyed her comments on the books that she wrote. My most favorite bit was talking to her. On Friday it was AWESOME! l learned so much about Tania. l learned that Tania could not resist chocolate and l learned that her personality is like Cooper!! Man I was so excited to meet Tania because she was so awesome and she is also funny. I liked that Tania was really interested in our questions and gave us the answers. Thank you for all of your great comments 3MC! It certainly was exciting to do our Google Hangout with Tania and it was my first time doing a Google Hangout too! It was a great way to connect with Tania. You all did a wonderful job asking your questions to Tania because it’s quite different to talking face to face with someone. Tania was so generous with her time replying to all of our questions (as well as funny) and we certainly learned a lot! I wonder if Tania is going to crochet her own Yoda toy now Riley? 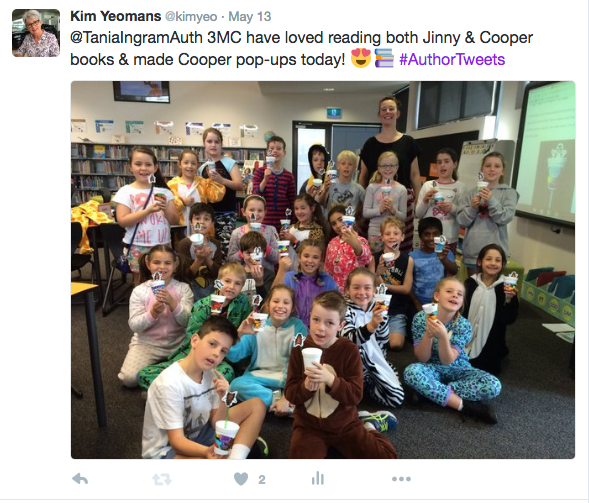 Let’s hope that if Tania comes to Melbourne in the future that she will pop in and visit 3MC and our library…. It was great to read all of your lovely messages. Thank you for your kind words. I had a great time talking with you all as well. And the next time I come to Melbourne, I’d love to come and meet you all face to face. I’d also be interested to hear how you enjoy books 3 and 4.